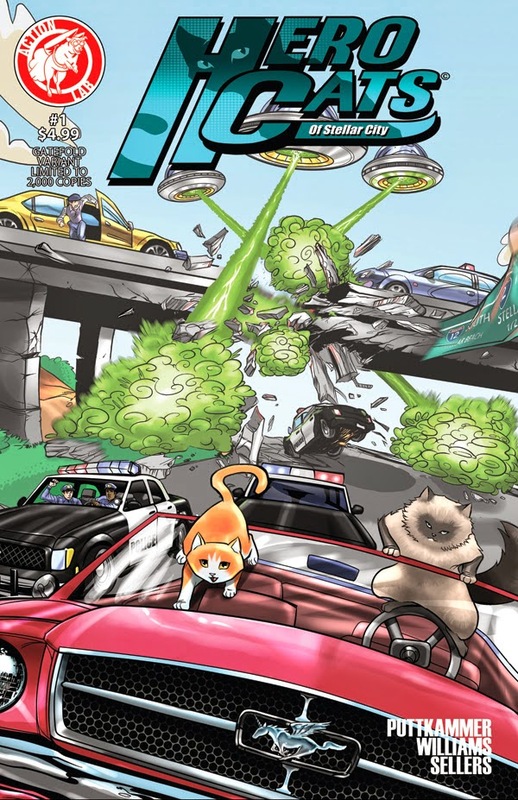 In a press release sent out earlier today, small press publisher Action Lab announced plans for a new title, HeroCats, along with two cover samples and a teaser image, shown here, that includes a car chase, aliens, an animated dinosaur skeleton, and a cat wearing a parachute. Yup, that's going to grab some attention across the internet, right there. While the Superheroes and Villains of Stellar City battle it out for the fate of their world, another war rages beneath them. 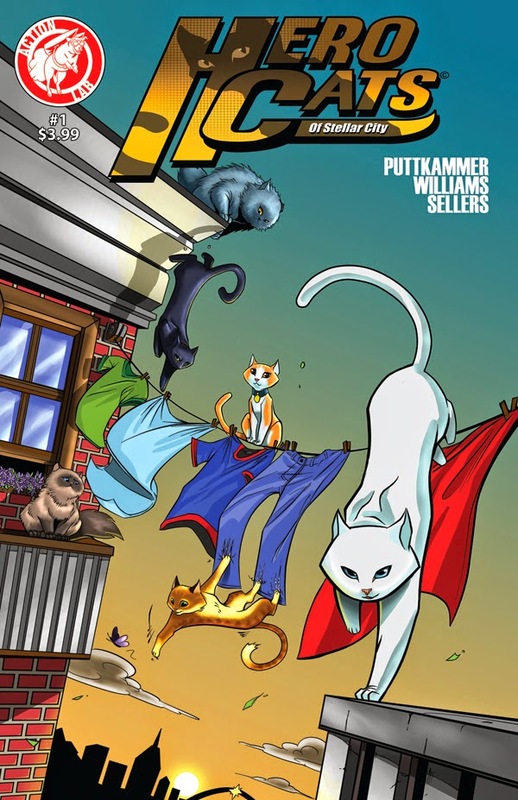 The HeroCats of Stellar City, A team of highly skilled house cats, protect humanity from those things that the superheroes are too busy to notice. Written by Kyle Puttkammer and drawn by Marcus Williams and Ryan Sellers, Action Lab bills this an all-ages comic, putting it alongside Princeless and Skyward in being marketed to a younger audience. 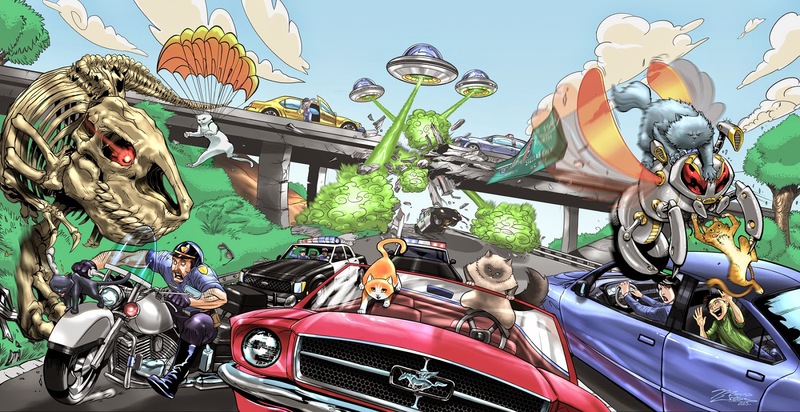 With the use of cats, dinosaurs, and aliens, however, it's likely to find some cross-audience compatibility. HeroCats will be out from Action Lab in August.